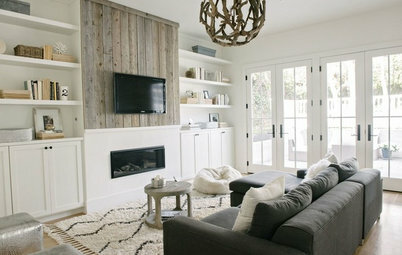 Houzz Contributor. Home design writer and lifestyle reporter with a love for stylish spaces, smart lighting and a good decaf dry cappuccino. 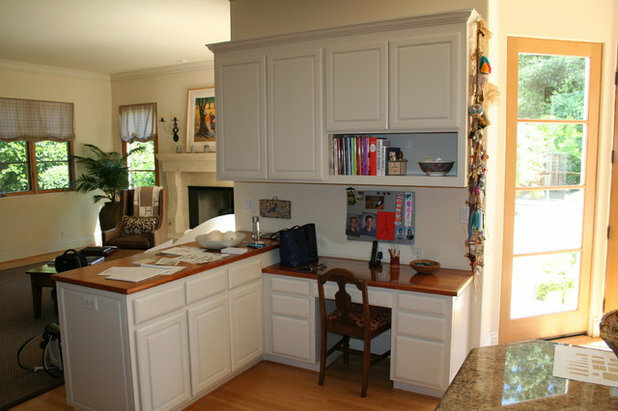 Larry and Joan Porter of the San Francisco East Bay community of Diablo thought the existing footprint of their L-shaped kitchen was fine, but they wanted to update appliances, have more functional storage and make the space feel more light, airy and welcoming. Before. 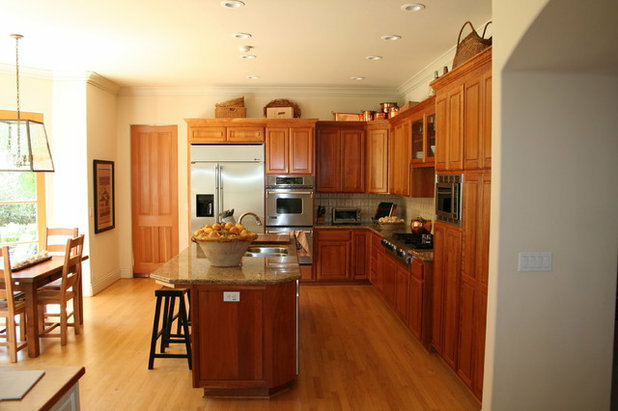 After 14 years in the home, the Porters were over their existing cherry cabinets and the dust-collecting space above. 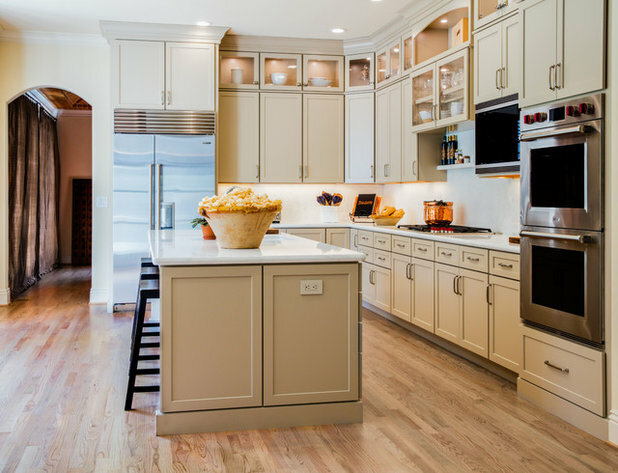 The tall, slim swinging door to the left of the refrigerator connected the kitchen to the dining room. After. 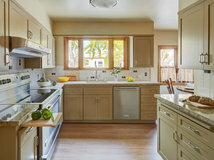 The kitchen now includes traditional framed cabinets with plywood box construction and painted maple doors. 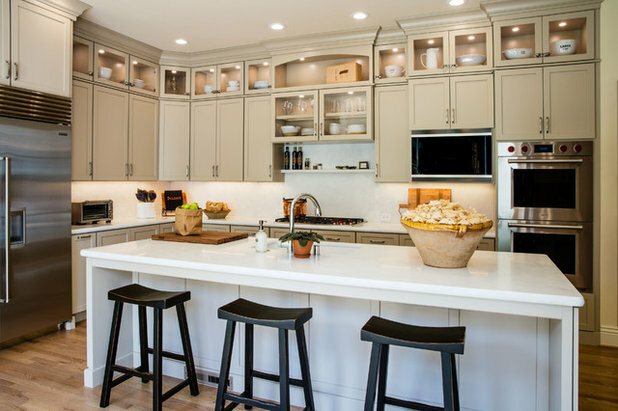 The semicustom cabinets go all the way to the ceiling to enhance the height of the room and eliminate the dust-collecting storage area. 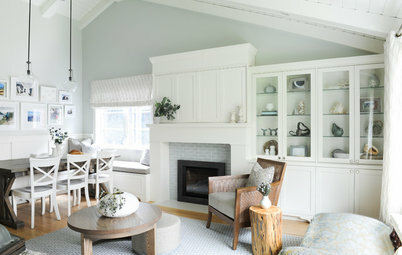 A lovely latte color brightens the room while maintaining warmth. 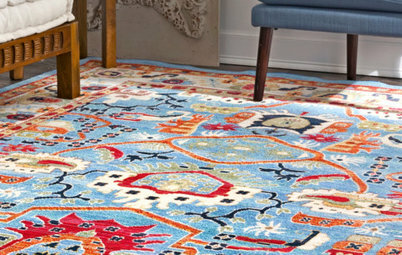 “We wanted to lighten things up without going too bright,” designer Pamela Lehman says. “It’s warm and gives you a bit of color without going over the top.” They kept the walls the same cream color as before. 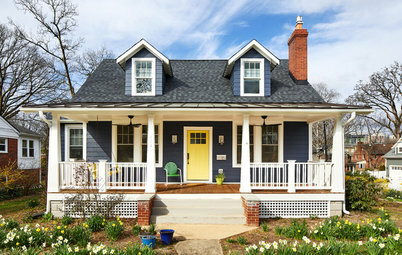 Lehman replaced the swinging door with a wider, arched opening that improves flow between the kitchen and dining room. 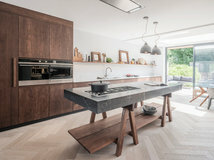 A new, heftier island features a honed white Calacatta Michelangelo marble top. Before. 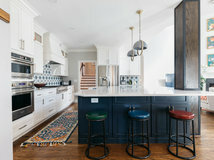 This photo shows the patterned beige tile backsplash and black-and-brown granite countertops that the Porters felt brought down the energy in the kitchen. After. 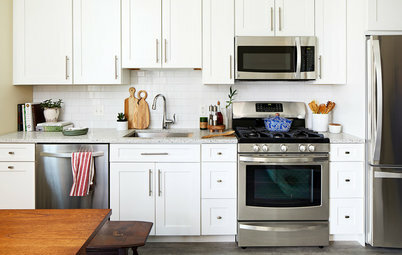 The new marble counters join a marble backsplash and new appliances for an elegant, updated look. Joan requested the marble shelf to keep cooking oils and spices nearby and to break up the expanse of material. 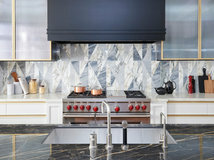 “We don’t have a vent hood up there, so I wanted to have something so it just doesn’t look like a big, blank piece of marble there,” she says. The cooktop includes a downdraft vent. Before. 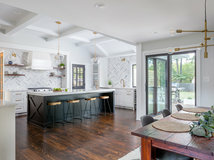 Prior to the remodel, the couple had a desk area with a short peninsula that separated the kitchen from the family room; it often ended up as a drop zone and created an eyesore. “That’s the first thing you saw when you walked into the kitchen,” Lehman says. 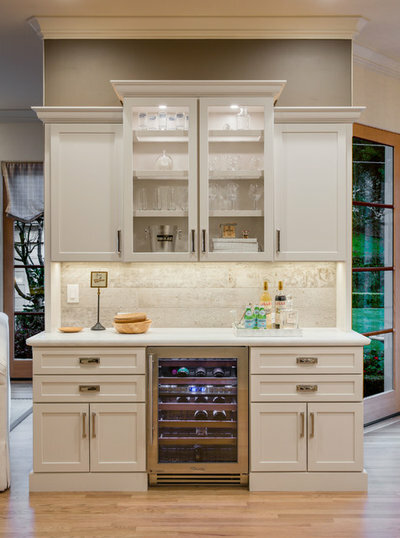 The linen color of the hutch helps distinguish it from the kitchen cabinets. 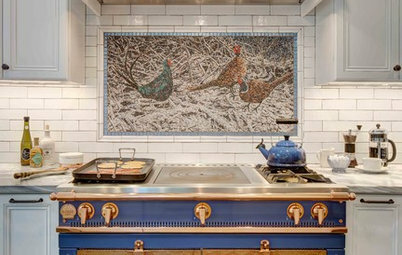 A stylish backsplash with random offset field tiles with a custom oyster gray grout adds pattern and texture. Before. 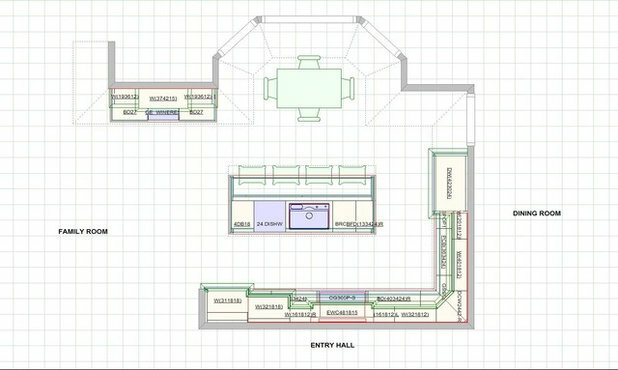 This floor plan shows what the original kitchen and desk area, top left, looked like before the renovation. 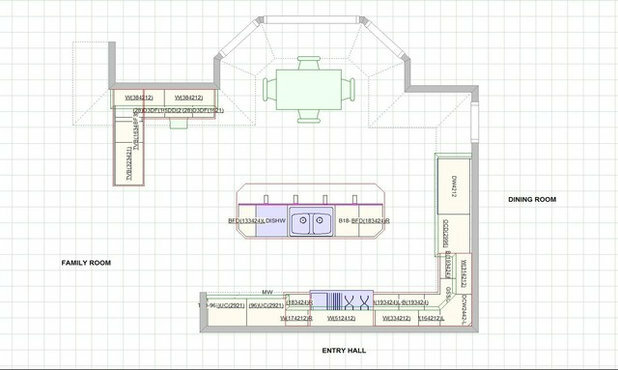 The dining room is on the right, entered through the narrow door near the top. After. 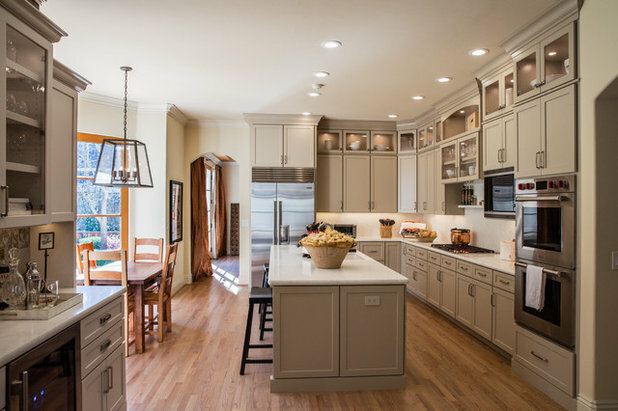 The narrow door to the dining room was replaced, the short peninsula that separated the kitchen and family room was removed, the location of the wall ovens was changed and the former desk area was converted into an attractive hutch. 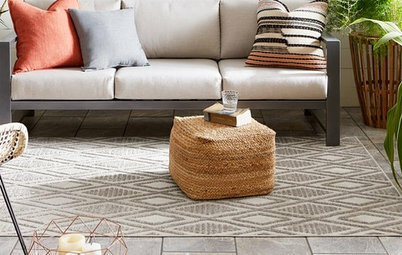 These key changes and more helped create a brighter, user-friendly space with transitional style. As someone who chose a beautiful striped gray marble for our counter tops I have regretted it from almost the minute it was in place. 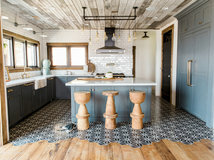 I know die hard marble lovers claim they don’t care about the hundreds of permanent spots and stains on their countertops...it’s just life showing the imperfections of cooking, entertaining etc. but I’m not one of those because not only was it expensive, I also decided immediately that I was going to protect our investment and keep them in pristine condition. Well, it’s an impossible task!!! It’s just my husband and I and despite my finest effort they are spotted, crazed and stained. 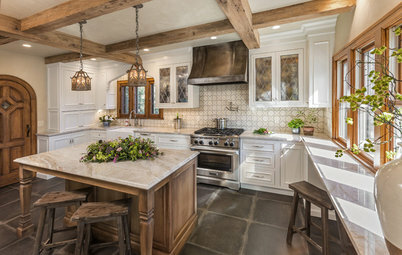 This kitchen is gorgeous but I guess I would like to hear from the homeowners or anyone else out there if they deeply regret their choice of marble for the busiest room in the house. And don’t even get me started on marble in bathroom’s!!! Thanks for letting me vent...if I ever win the lottery I’m ripping out my expensive, soiled countertops and choosing something that won’t show the all the hideous flaws that yes, drive me Crazy!!! 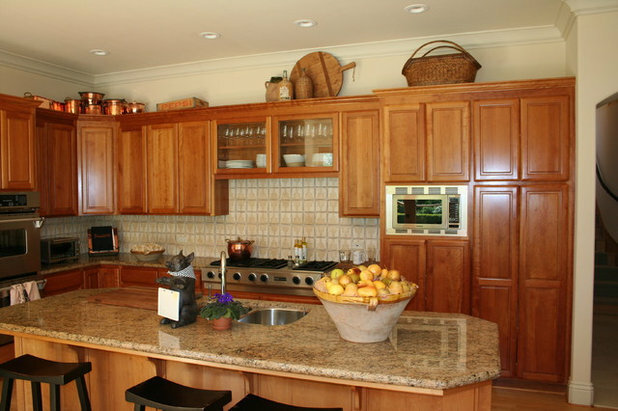 Jarboewise, my stone kitchen countertop was installed 11 years ago. At the time I wanted one of the new (at the time) solid-surface counters, but stone was cheaper. My counter is a figured stone with a high proportion of quartz, so there is a lot of jade-like translucency — no off-the-rack freckled look. The counter has always has had imperfections, but they don’t bother me (with the exception of one seam that was a last-munite fix, and that ticks me off). The stone is very etched around the sink spigot: even that passes as patina, in my eyes. 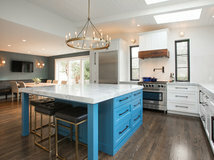 However, I would rip out and replace my island countertop if I had the spare cash, and replace it with a manufactured surface. The reason is that the installation was poorly done — bad work fitting the sink, and not enough overhang to sit at the counter comfortably. 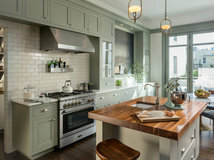 Also would like an additional inch in counter height, which could be achieved with a counter replacement, and would like to replace the sink at the same time. 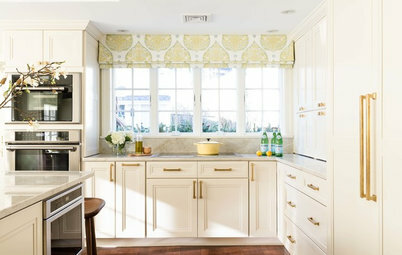 The good news is that mixed counter surfaces are in vogue. The bad news is that I have been reading so many negative things about manmade counter materials! So, yes, I regret choosing that counter surface. I should have gone with the thicker Caesarstone I really wanted, which would have come with a much better fabricator. Live and learn. I have a limestone counter in my guest bath. I like it, and I take care of the surface. I wouldn’t use such a fragile stone in a master bath, though. 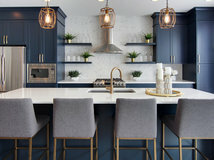 I used marble in my kitchen 10 years ago.I used it because I found beautiful gold color with shells and other interesting things in the marble.I have used a mat on top of counter top trying to save the marble. It worked fairly well.Ill never do that again. 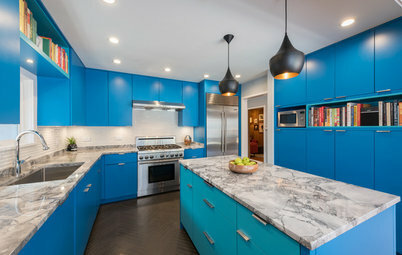 Im building a new house and have chosen quartz mainly because of color. Granite has so much grey colors, which Im not a fan of.Ive worked very hard finding creams,tans and whites for my new house. Grey is so popular and I cant find a use for it.Marble is beautiful but not for long.Its really to bad. There is nothing better then living with natural products. 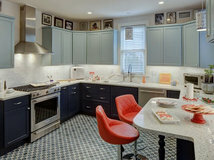 Budget-friendly cabinetry and new finishes brighten a 1930s kitchen in Washington, D.C.